The success of a restaurant business is not mainly dependent on the food being served. The interior design (and the facade too) also helps in building up the image of an eating establishment. The interior design features include the color scheme, furnishing, accessories, decorative pieces and lighting fixtures. There are several restaurant lighting ideas to choose from. The important thing to keep in mind is to choose a specific design that would match the image of the restaurant. 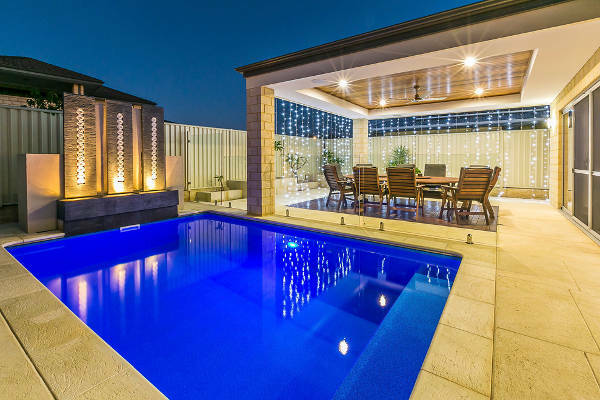 Aside from the indoor lighting, outdoor lighting design should also be considered. For an enchanting outdoor restaurant design, use of unique and special lighting is a must. For this restaurant, two lighting ideas were used. The lights hanging from the tree provides adequate lighting, while the lanterns of different sizes (and were scattered on the floor) adds drama that matched the magnificence of the ocean view. This restaurant is designed in neutral color scheme. The multi-colored tall rectangular casing of the pendant lights provides flashes of colorful lights. The wall-mounted lights match the pendant lights. To match the ultra modern design of this restaurant, the bar is lighted with white pendant lights hanging from a bulkhead. The rest of the place is lighted with fixed ceiling lights. 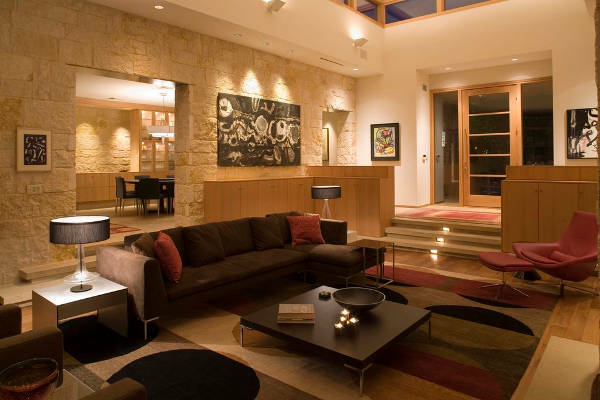 It is always a good idea to incorporate two or more lighting ideas into one space. This restaurant, for instance, has four lighting features. 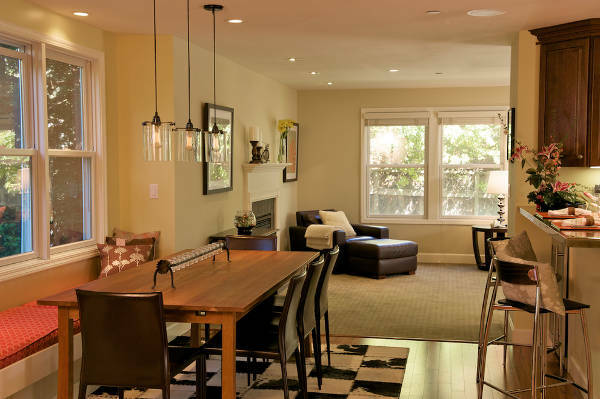 The lampshade pendant lights provide lighting in one portion of the place, and the opposite space is lighted with smaller pendants set in lower levels. The ceiling is also installed with lights and the windows are decorated with mini lampshades. 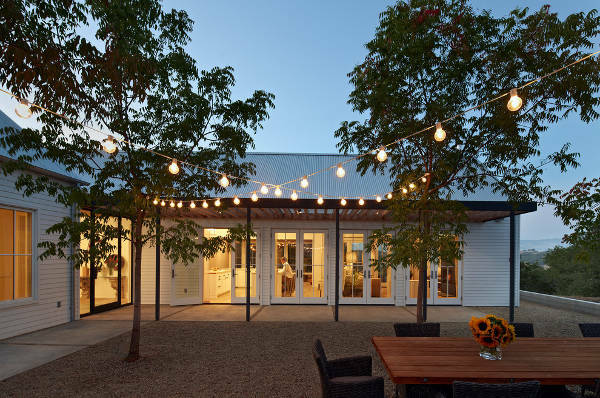 If use of dining room pendant light is common for interior lighting, something unique should be used for a restaurant patio. 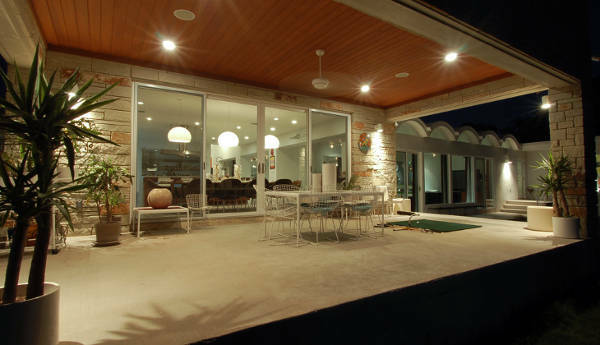 The outdoor lamps used here are big enough to adequately provide lighting without being too flashy. 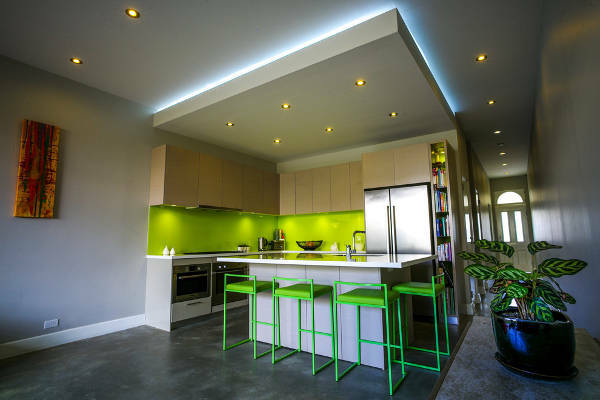 Modern lighting designs can be simple or flashy or a combination of both. This restaurant has a simple interior design with eccentric pendant lights. The lighting ideas used for this restaurant industrial, rustic and traditional. It is a fusion of different design ideas that somehow managed to result in a totally different yet beautiful and well-lighted interior. Main chandeliers with wood branches hang in the middle of the ceiling, whilewall-mounted lamp lights light up the sides. 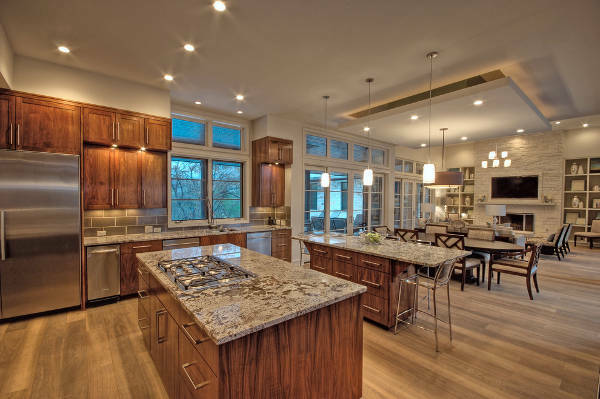 Industrial lights provide lighting to the kitchen/bar area. Lighting up a restaurant is an essential part of this business. People love eating in well-lighted places. In choosing the best lighting for a restaurant, it is important to consider the type, kind or style of lighting. You can go for the popular pendant lighting and then incorporate other ideas like wall-mounted or ceiling fixed lights.